Grace was one of the first patients up the Africa Mercy gangway in the Republic of the Congo. It was a race against time to remove the life-threatening, football-sized tumour from the 17-year-old’s face. Grace’s journey to healing began with a social media post. A chaplain in a nation neighbouring the Republic of the Congo met Grace in a hospital and was shocked by her huge facial tumour. Counselling and praying with her, he sought help for Grace on his on blog. A reader thought Mercy Ships might be able to help. When they were told to come to the Africa Mercy for screening in 2014 they could hardly believe it. A muffled declaration of joy was all Grace could manage through the tumour that filled her mouth. The teenager was facing death from slow suffocation caused by the tumour growing both outwards and inwards. It was an extreme case in a region where most of what we encounter is already off the chart. The Mercy Ships screening team are experts at looking beyond disfigurement and searching the soul of our patients. 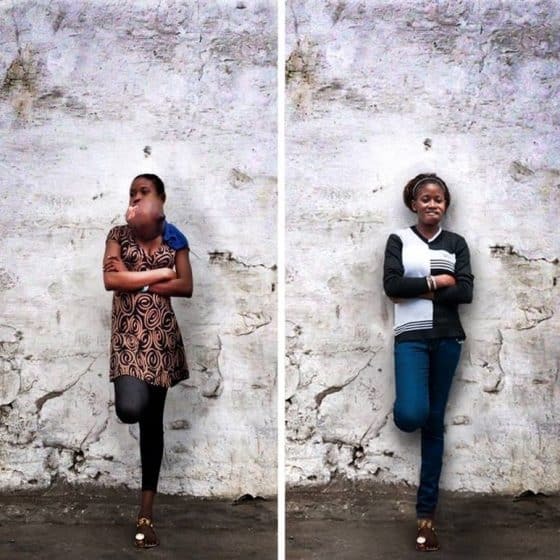 In Grace’s case, one nurse describes calling on all her training to look deep into Grace’s eyes and not allow her own eyes to stray inadvertently to the enormous tumour protruding from her patient’s mouth. Grace was wrapped up in love and acceptance as she was admitted to the ship’s ward. She underwent a complex surgery to remove the 2.2 kg tumour, and some week later another to provide her with a prosthetic jaw – all without charge, all provided by professional volunteers. As she recovered, the difference in Grace was simply remarkable. No longer was she a girl with downcast eyes – her face was beginning to shine. She could smile. She could eat properly. She could have a conversation free of overwhelming shame. As Grace walked down the gangway headed for home, she looked like a regular sassy teenager, facing her future with new found hope and confidence.